We round up the best 3D modelling software for every skill level. The best 3D modelling software won’t automatically make you a better artist – for that you need great 3D skills. But when it comes to creating incredible 3D art, having the right 3D modelling software for your style, skill level and budget certainly helps. Of course, what’s right for you as a beginner or pro might not suit another artist. But whether you’re a 2D artist looking to up-skill this year, or a seasoned 3D pro looking to upgrade your existing tools, there’s a program out there to suit you – and you’ll find it in this guide. On this page, we bring you the best paid-for 3D modelling software; and on the next you’ll find the best free 3D modelling software. So how do you choose the right 3D modelling software? Well, there are some key considerations to bear in mind. Firstly, as a general rule, any kind of 3D work will require around 16GB RAM or more. Most of the 3D software applications here require roughly 5GB of disc space to install, but you need to take rendering into account too. Also, if you’re taking your digital art seriously, then investing in a graphics card with a fast processor and a lot of memory is highly recommended. That way, you’re much less likely to experience a lag when displaying complex 3D scenes. Our pick of the best 3D modelling software for professionals. Ask any 3D artist to name the best 3D modelling software, and most will choose Autodesk Maya. Used by many leading VFX and animation studios, including Pixar, Maya’s robust set of modelling tools are unrivalled. It’s a seriously impressive and powerful piece of kit, which means it’s also one of the most complex and hard to learn. And it comes with a pretty hefty price tag, too. However, for those who have the time, skill and patience to master Maya, it’s the best 3D modelling software around and it’s worth every penny. Want to get started with Maya? Our selection of mighty Maya tutorials will help you take a step in the right direction. A fantastic procedural software tool – and there’s a free version too. Like Maya, Houdini by SideFX is widely used in the visual effects industry for creating show-stopping 3D art and effects. Its node-based procedural approach provides digital artists with an unprecedented level of power, flexibility and control. But its complexity also means it can be tricky to get to grips with. But like anything, practise makes perfect, and a dedication to this impressive software will certainly pay dividends. SideFX also offers Houdini Apprentice, a free version of Houdini FX, which can be used by students, artists and hobbyists to create personal non-commercial projects. The free version allows access to virtually all of the features of the award-winning Houdini FX to develop your skills and work on personal projects. Brilliant 3D modelling software for beginners and pros alike. If you’re dedicated to a career in 3D and have some money behind you, then you should consider investing in Maxon’s Cinema 4D. It’s a professional, complex piece of software, with which you can create some show-stopping work – and it’s also the app with the smallest learning curve. Perfect for creating motion graphics, Cinema 4D boasts fantastic interaction with Adobe After Effects. And there’s an absolutely huge library of how-to videos online – including our list of brilliant Cinema 4D tutorials – to help you go from newbie to pro in no time. As user-friendly programs go, you won’t find a better piece of 3d modelling software for beginners. Perpetual licenses for this software don’t come cheap, so make sure you take advantage of the try-before-you-buy option, which gives you 42 days to experiment for free. Maxon also offers short-term and student licenses at a reduced cost. This open source 3D modelling software boasts professional-grade features. If you’re after some free 3D modelling software, you won’t find better than Blender. The open-source program has been around for a long time now, and subsequently has an army of highly dedicated artists, teachers and enthusiasts behind its continued development. And boy, for an open-source project, have they created something special. Blender boasts a highly impressive 3D modelling toolset, and is considered a completely viable alternative to paid modelling programs. That said, it’s a bit non-standard – so if you’re thinking of upgrading to more expensive software endeavours at some point, you might face a steep learning curve. But it’s a brilliant starting point for checking whether 3D floats your boat (we have a host of fantastic Blender tutorials to get started with elsewhere on the site). And it’s capable of producing images and animations that are on par with just about any other 3D modelling software on the market. A powerful and flexible 3D modelling, texturing and rendering toolset. The Foundry’s Modo – a powerful and flexible 3D modelling, texturing and rendering toolset – has become a firm favourite among digital artists in the past few years. Tools have been well thought through and implemented, making it very user-friendly. Add to that a really good rendering system and it’s easier to see why so many favour it. It’s clear the development team at The Foundry have worked to make Modo really intuitive, and high quality renders are easily created with minimal effort. It doesn’t have all the high-end dynamics and simulation tools you might find a programme like Maya, but Modo holds it own when it comes to creating show-stopping 3D artwork, producing as good a 3D renderings as any other package currently available. 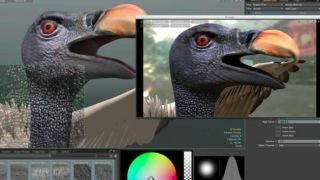 3ds Max is Autodesk’s PC-only professional 3D computer graphics program. Like its sister software Maya, 3ds Max boasts a very robust toolset for 3D modelling. However, thanks to a huge library of different modifiers, 3ds Max can make the modelling process a little easier for new or intermediate 3D artists. It comes at a considerable cost, but students can get the software for free and a trial version is also available for 30 days. First-rate 3D scuplting software that’s particularly good for 3D printing. Most 3D modelling software is suitable for 3D printing – as long as you can export geometry, you’re good to go. However, some programs lend themselves to 3D printing better than others. ZBrush, for example, is a popular choice among artists wanting to 3D-print vinyl toys and action figures. So if you’re familiar with the ZBrush toolset, we’d recommend using this 3D modelling software for 3D printing. If not, the other 3D modelling programs highlighted in this list are also highly capable of producing quality 3D prints, so stick to what you know.